Learn 200 quick, painless history lessons in one thoroughly researched book. An indispensable guide for Florida students, newcomers, and old-timers alike. Florida has a long and complex and very interesting history, but few of us have time to read it in depth. 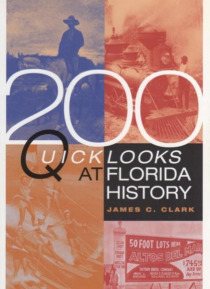 So here are 200 quick looks at Florida's 10,000 years of history, from the arrival of the first natives to the present. The distilled versi… on is packed with unusual and little-known facts and stories.